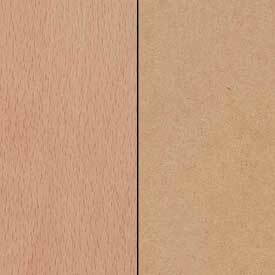 • MDF (Medium Density Fiberboard) is an engineered wood product created by breaking down hardwood or softwood materials into their basic wood fibers, combining that with wax and a resin binder, and forming panels by applying high temperature and pressure. 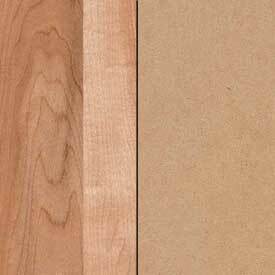 • MDF is stronger and more dense than either plywood or particleboard. 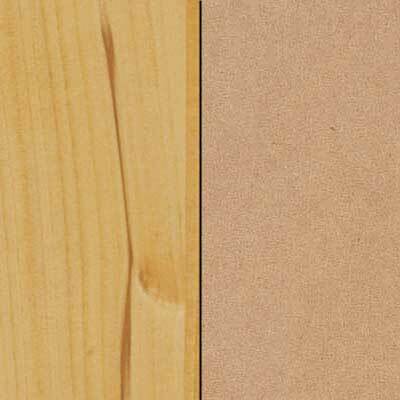 Like particleboard, it is used as an interior product only. • Available in sheet form, it comes in 4’ by 8’ panels as well as other sizes by special order. 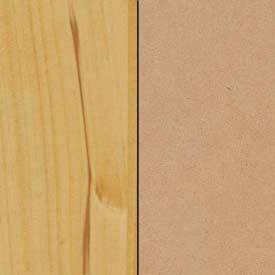 • Because it is more dense than either plywood or particle board, is also heavier per square foot than either of those other panel products. 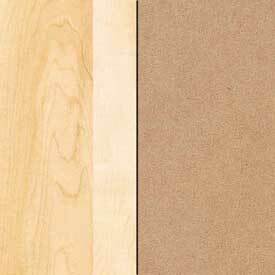 • Large-scale production of MDF began in the 1980s in both North America and Europe. 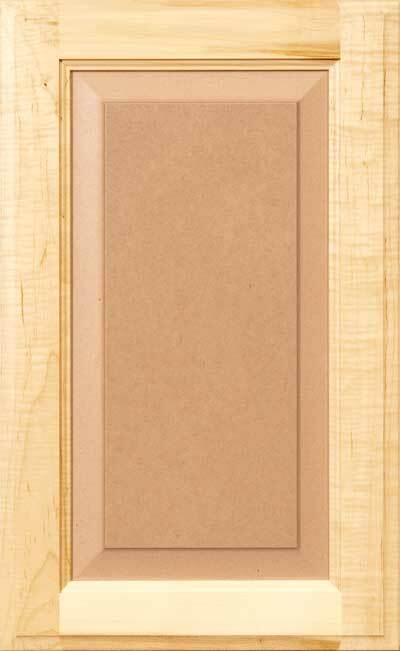 Now produced worldwide in areas where wood fiber is readily available. 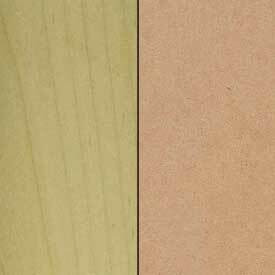 MDF is a highly stable composite material used for painting with a very smooth texture and no grain direction, making it ideal for painted projects. 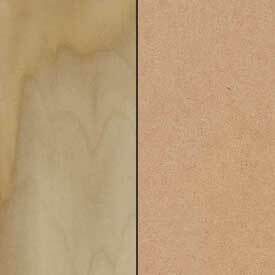 Made of approximately 90% wood fibers and 10% resin to hold it all together, MDF maximizes the use of our forest resources by utilizing the residual wood element of forests not used in producing lumber, that could have otherwise ended up in landfills. An MDF panel is paired with a frame made of hardwood material for painting purposes. 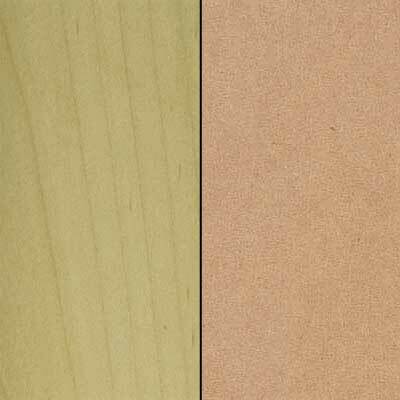 Hardwoods and MDF accept paint well and the MDF panel is very stable and resists movement. 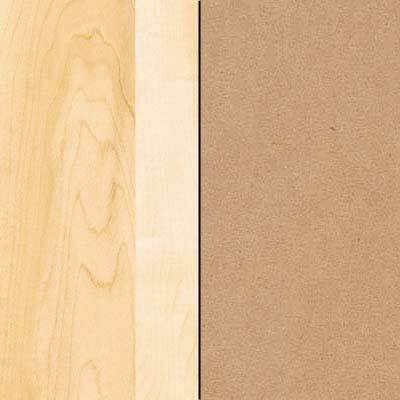 The Hardwood designation allows our manufacturing team to use any of several different closed grain hardwood materials. 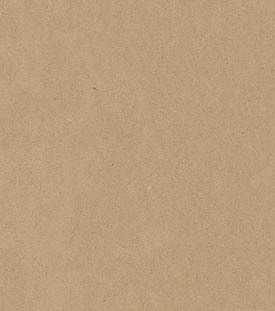 An MDF panel is paired with a Maple Paint Grade Frame for painting purposes. An MDF panel is paired with an Alder Natural Frame for painting purposes. An MDF panel is paired with a Beech Frame for painting purposes. 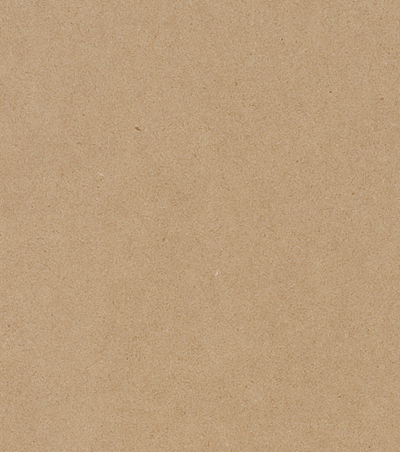 An MDF panel is paired with a Poplar Frame for painting purposes. 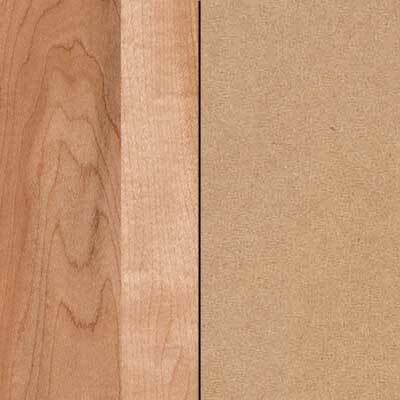 Poplar frames are not as highly recommended as Maple or Hardwood. 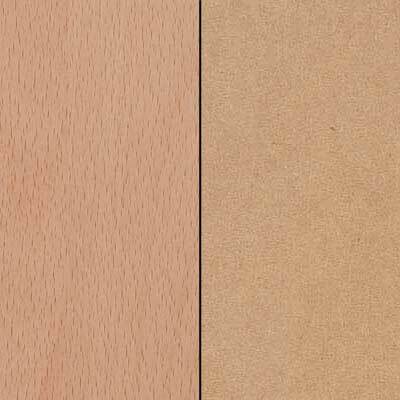 An MDF panel is paired with a Soft Maple Frame for painting purposes.